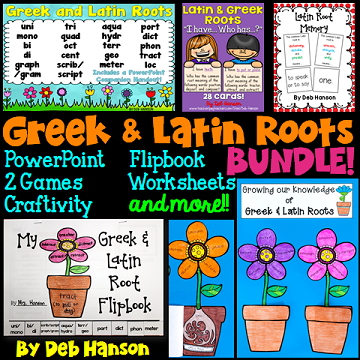 I absolutely love, love, LOVE teaching Greek and Latin roots! I admit, I have always enjoyed learning the meaning of word parts. When I learned these root meanings when I was younger, I recall feeling like the pieces of a puzzle magically fell into place and formed a picture. As an ELL teacher, though, teaching these roots is even more rewarding because they empower students! I get excited when I see students notice a word with a certain root we have studied. I do a little happy dance when I hear a student say something like, "Well, I know that word (pointing at the word "monologue") must mean one in some way, because I see the root mono, and we learned that mono means one." 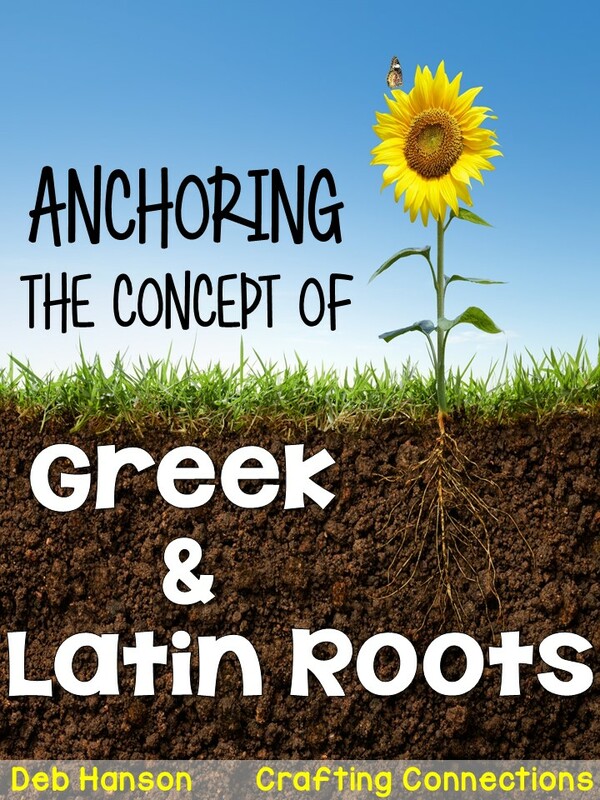 Although I cycle through many of my anchor charts throughout the year (click here to read about how I save my anchor charts), my Greek and Latin root anchor chart is a permanent fixture in my ESL classroom. In fact, as we learn more roots, another attachment is added to the end of the anchor chart to highlight additional roots. One year, a student asked me if she could make her own root/flower drawing like I had created on the anchor chart. When her classmates joined in on the request, I promised to create a matching craftivity that would allow them to create four flowers of their own (two are on the front, and two more are on the back). Those of you who have followed me for a while will not be surprised to know that I couldn't stop there. 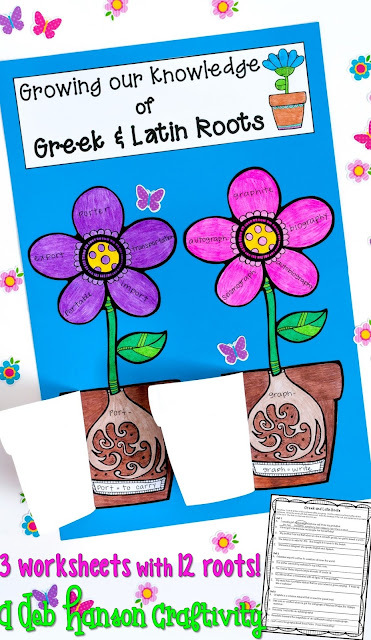 I created a few more Greek and Latin root resources that are related to the flower image. 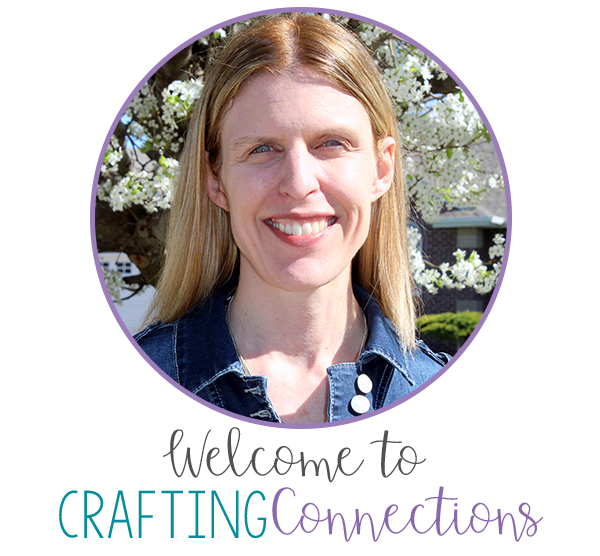 Feel free to take a look at the bundle or any of my individual resources. I love your anchor chart, Deb! It is a great visual!